I have been hit three times in my life, usually at slow speeds by people coming out of a driveway. Thankfully it's been very minor, but I have had close calls. People are funny sometimes. Out in the Redlands, which is the southern part of the county, there was one time. I remember a couple of guys in a pickup truck. There was no one on the road and they definitely came toward me just to see if they could freak me out. 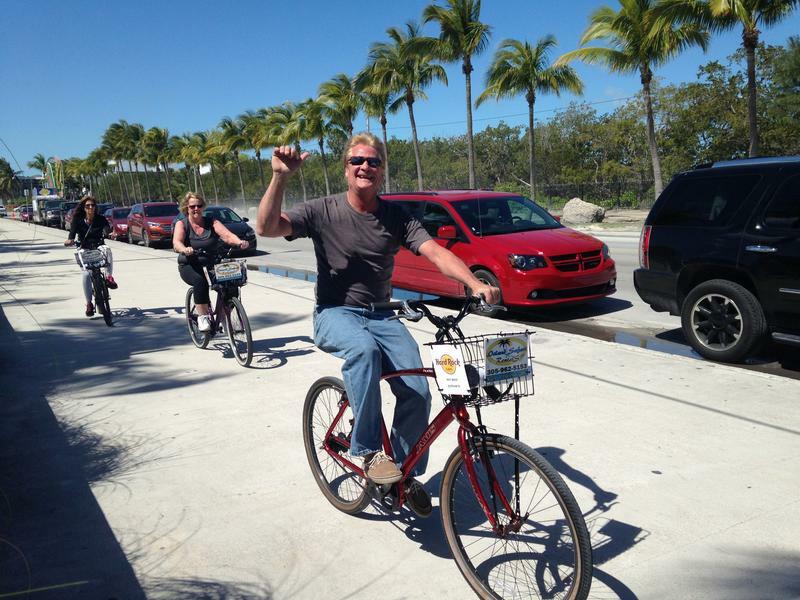 What about on the Rickenbacker Causeway? On the Rickenbacker Causeway I have thankfully been unscathed. I have witnessed a number of situations that led me to the initial solution, which is that the space of driving and the space of riding converge in and out of the bridges. There are three lanes that go into two lanes [in the Rickenbacker Causeway]. If you're in that right hand lane as a driver and you're not paying attention, you literally drive into the bike lane. So there's a merge point that people don't realize because the bridge is wide enough to handle three lanes if you were to look at it like that. And unfortunately the deaths have all occurred either on or coming off the bridge. They've been early morning and they have been very tragic and unfortunate circumstances for the victim as well as the driver, which tend to be a young person acting foolishly. How do you determine the cost of a project like this? I'm not really prepared to give an opinion about that because it's a point of diminishing returns to talk about the overall cost. So let's break this down into what the real issues are: the real story is we invest, as a community, a huge amount of money in our infrastructure. We build highways with dedicated funding; we have transit that never has enough funding. 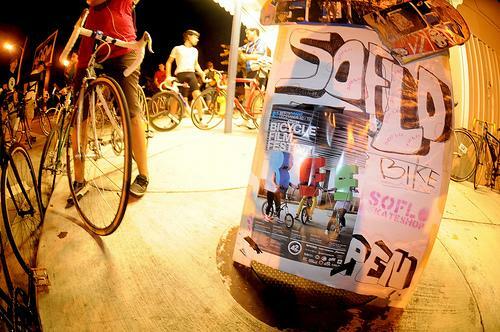 But part of the way that people move is they walk and they ride bicycles. One of the attributes that is really important to this overall scheme, and what frames up the whole thing even beyond the Rickenbacker, is that we have a tremendous amount of land area in our country, in our county, in our city, dedicated to infrastructure and it has only a singular purpose: traffic mitigation and drive lanes for cars. What I discovered on the Rickenbacker is that when I make it safe for the cyclists and the runners, if I can realign how all of the land of the causeway is utilized, I can gain a 20 acre park in a county that has a significant deficit in open space and we can separate out the rider and the driver 100 percent of the time. That was the mission of Plan Z version 2.0. So, number one, let's not just keep all the asphalt where it is. Let's think about how we could reorganize it to get a better result. And the easy answer is if I put all the bicycles and the runners on the south side of the causeway and I put all of the drivers on the north side of the causeway, I accomplish something really amazing. You presented this recently to the Miami Dade commission. What are you hearing from them? What they are saying is that everyone supports it but they are concerned about what it costs. And my answer is let's break it down into parts. So, if we're talking about realigning the roadway and creating new lanes for bicycles and reworking the lanes for cars, that's a roadway cost. And I would say that, based on what I've been able to get back from estimations done by contractors who do this every day, is that it is in the tens of millions. If we want to start removing bridges and replacing them, that's in the hundreds of millions. If we want to talk about creating bicycle infrastructure like safe overpass lanes, that's also in the in the tens of millions. As for the actual improvement to 20 acres of park, what we need to do is spend the money to plant the trees and create the activities but the land is already owned. The acquisition costs are zero. All we have are construction costs. So I'd say that we need to have a serious conversation about what parts do we want to do and how do we pay for it. 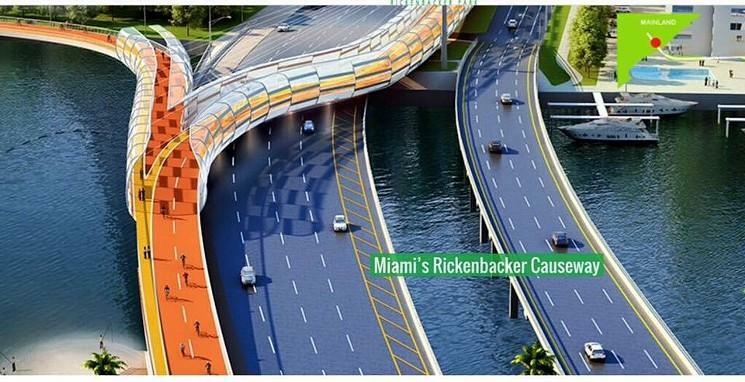 Plan Z 2.0 creates a separate pathway for cyclists and pedestrians, away from cars on the Rickenbacker Causeway. But what have you heard so far when you when you explain that to lawmakers? Well it depends who I'm talking to. I hear universal acceptance of the idea, that this plan will work for both the driving communities, cycling community and to the benefit of the overall community. So I think the good news is, for the first time, there is in fact a universal support by all parties that this is a plan that if it were to be implemented it would really work. 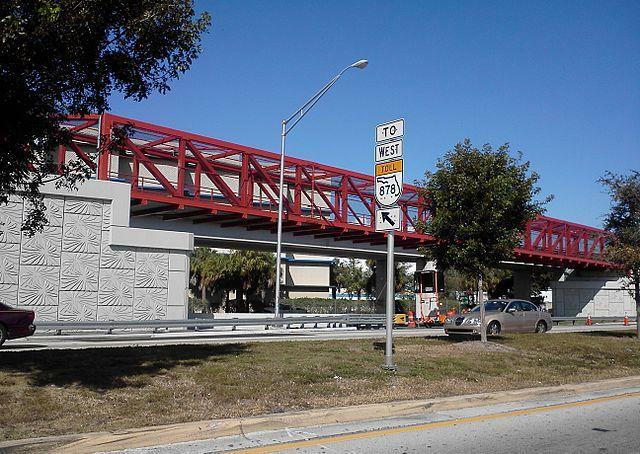 The part that I hear from Citizens Transportation Trust, MPO, city of Miami, Dade County, Dade County Parks, is that we need to get serious about this so we can begin to develop a schedule on how we can take this down one piece at a time, make it safe right away, and start implementing the park. What I hear from the Village of Key Biscayne is 'we would like to understand more about what the impact is but it seems like it would work.' So the good news is I'm hearing a kind of universal response that the plan itself. Having said that, there is something very interesting that happens. And now I am going to wax a little philosophical. Perhaps here in Miami we tend to really fall in love with what is glamorous, with what is exciting, which is what is iconic. One of the interesting feedbacks that I've received about the plan is that people are very excited about its the iconic nature. 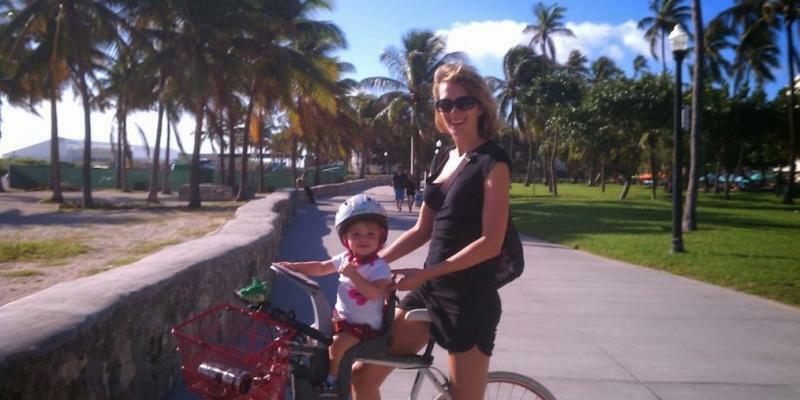 Miami in particular is one of the (least) safe cities in the entire country to ride a bicycle. This is a major statement about where we want to be as a community. I'm wondering if the bike sharing system that's been around for the last several years hasn't really kind of spawned more of this conversation. I think that what we have discovered is that old habits die hard. We are a group of people that are very used to the way that we live down here, with an air conditioned environment at all moments and times. We want to have a more vital and robust connection with our natural environment. We want to be able to commute and enjoy ourselves in a way that is different and we are absolutely certain that our kids want to do that. So I would say that what is happening with bike-share is a response, not a catalyst. I think bike-share is a response to that desire. If you go to New York City half of the streets have been converted into plazas with people sitting in lawn chairs in the middle of Times Square. In a week I'm heading out to Copenhagen because I want to see with my own eyes what the most bicycle-friendly city in the world looks like. Do you know what's an interesting statistic? Fifty five percent of the people in Copenhagen get around by bicycle. Think about that. We have flat roads, we have perfect weather, we have all kinds of attributes here so we could really be a connected community and, for some reason, there is resistance to this idea. I think that once there is a certain tipping point, we are going to find an acceleration toward the implementation of my plan.